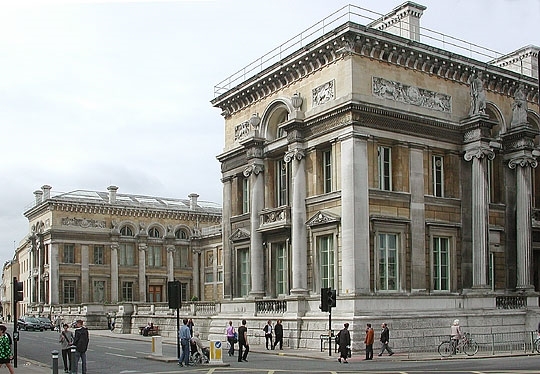 The Ashmolean museum in Oxford offers daily free tours with different thematic concepts and contexts. This is, by far, a superb way to visit a museum on a course of some weeks. That is due probably because of the obvious reason that what is usually an interested curious walk amongst the eras suddenly becomes a learning experience about cultures and hence, about life. One thing that is constantly repeating while visiting a museum is the multiplicity of faiths and general dispositions of belief-based traditions and ceremonies that qualify and quantify the society. 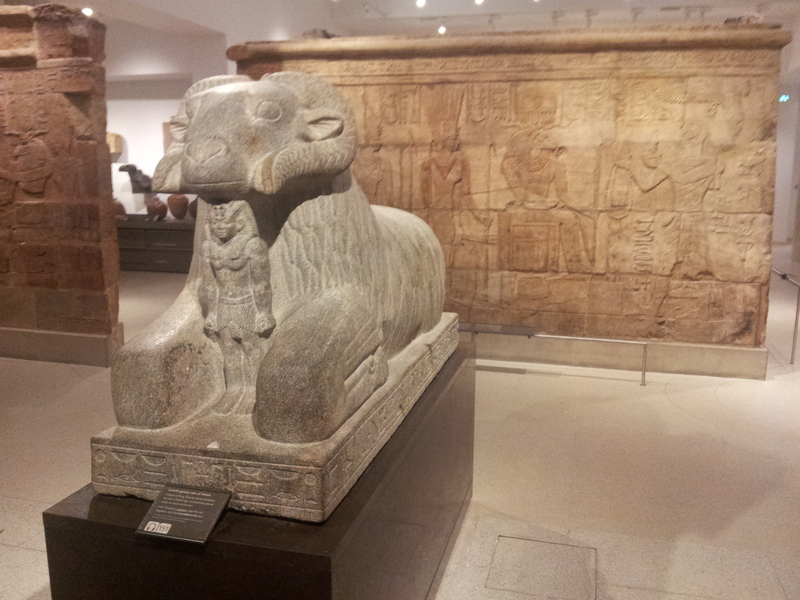 In one of these visits I had the pleasure to walk through the Egyptian era. While listening to the explanation of the volunteering Egyptologist, I couldn´t help myself but take few notes I find to be extremely relevant to the way we perceive the interaction between older cultures and traditions and our own. 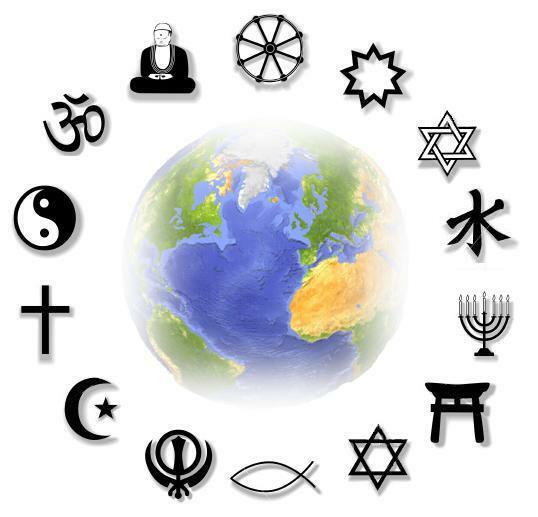 Today, any curious person that is interested to know where and when her beliefs began can simply look at the vast and growing number of web pages (both official and amateurs) that delightfully narrate the passing of concepts and faith from one culture to the one that followed. This tour was no different, staring at Amun Ra’s human or ram´s face, one cannot not be awe striking by its majestic power. This divine Sun God usually appears holding in one hand a spear and in the other the Ankh, the key of life by the gods (still represented to this very day in various beliefs). 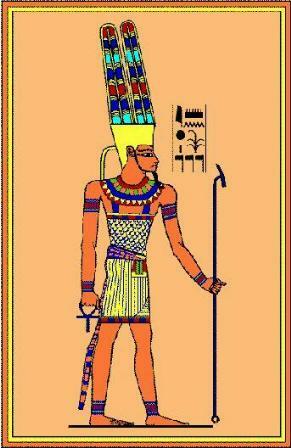 As creator god, he is considered to be the father of kings, meaning the father of the great Pharaohs. 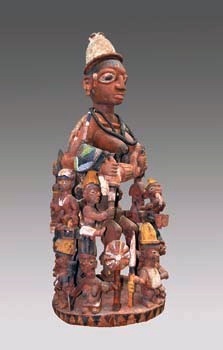 As even the great god cannot stay without the universal need of a feminine wisdom and natural connections, the belief in the Mother God (known as Mut) was also part of the divine. The Goddess was venerated as both Virgin and Mother and in many representations was depicted as a gyps (a vulture). The Pharaoh, on the other hand, was praised as an earthly god, as the son of both the creator god and the great wise goddess (though by parthenogenesis of course). He can no doubt create miracles and even holds the balance between Ka and Ba (concepts of the soul). The first being the sheut (close to the word ‘sheol’ in Hebrew which in general terms means ‘hell’), it is the shadow of the human soul. 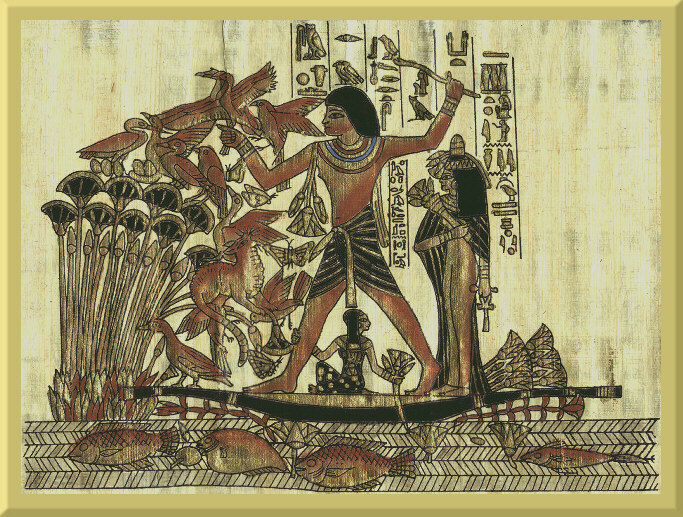 In direct opposition to Ka is Ba, depicted by a bird with a human head that flies to the field of Reeds (or Aaru, similar to the modern notion of paradise). 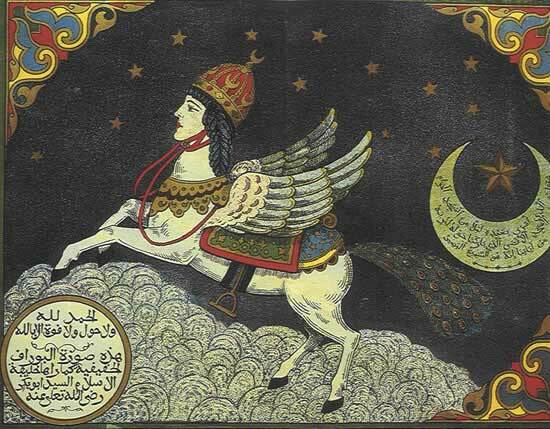 No doubt, the assimilations and reconfiguration of cultures and symbols gave way for Ba to have a strong resemblance to the famous Al-Buraq that followed in the same region. A museum, the great palace of knowledge, where a person not only journeys to the past but also to her own culture and origins. It is our universal, our extension to the farther realms that altogether are closer than we can imagine to our own perception. As pattern seeking mammals, it seems that there is a desire to create these magnificent artifacts of aesthetic emotional experience in order to give rise to reasons and explanations. Yet let us not forget (and any visit in a museum should reminds us), what was once sacred, today, is a mere curious piece of history and beauty. Field of Reeds, the image of Paradise as a flourishing land was common at the time (‘Paradise’ comes from ‘Pardes’, plantation of trees). Hence, the idea of Paradise was no more than an oasis surrounded by the great hot desert. Love others as you love yourself (or the negation version: “do not do to others what you do not wish to be done to you”). Many (religious/believers/influenced people) claim this Golden rule to be God’s commandment (by god, of course each person believes it to be her god that said it). Unfortunately, it is a common mistake. Many cultures around the world have it as an implicit social rule (whether they are an Amazonian tribe or a lost Asian tribe). Actually, by limiting this basic human behavior to such a narrow cultural ownership, one might miss so much of human’s cultural beauty and variety. Meaning, aside of the fact that all cultural have this rule as a finite and ultimate goodness to follow, what is interesting is how they reach it and how they so beautifully described it. 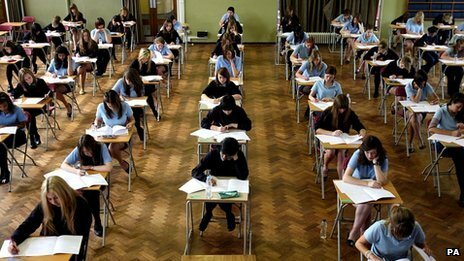 One such culture is from the land of the Hundred Schools of Thought, where Chinese philosophers were debating about existence, faith, heaven and earth. Those were philosophical reflections ten folds the ones that were taking place simultaneously in the deserts of the Judea and Samaria. One philosopher that is worth remembering is the great Mo-Tzu (also known as Mozi, ca. 470 BC – ca. 391 BC). 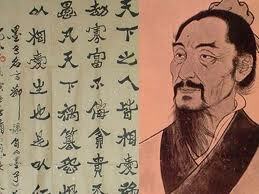 He is the founder of the school of Mohism, a contemporary and rival to the school of Confucianism. Mo-Tzu’s teachings were about authenticity, simplicity and self restrain. 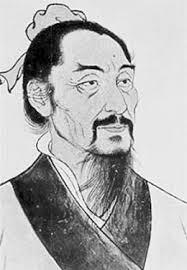 He believed that Love is a universal concept and should be given to the entire universe in an equal manner (unlike Confucius that believed in measures of love to different proximities). This also means that Mo-Tzu was strongly against rituals, especially the kind that worships Heavens and different spirits and entities. One should reflect and search within himself -he repeated- and through nature to attain self-knowledge. Rituals make your mind stagnate and inhibit your spirit by dulling the energy of curiosity and freedom. 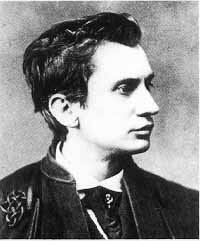 For that reason he was also against music and ceremonies (while some say that some music inspires them, I do have to agree with him in regards to the large majority of popular music). Unlike Confucius that continued the Western Chou tradition (1111-770 BC), Mo Tzu was inspired by the ancient Hsia (2183-1752 BC), with the concept of righteousness. Although both had a strong emphasis on human value and valor, it was Mo Tzu who was against the belief in faith. For him, the doctrine of love should be embraced and everything in the universe should be loved like one’s own. Thus, while walking ceaselessly between the different rulers, he preached for peace and egalitarian society. For Ti Mo Tzu, the Heaven were passive and indifferent and the spirits (angels) did not exist, thus it was strictly by the knowledge and love of men to create a world kind and prosperous. On his many travels, he saw a world of poverty of the mass, wars inflicted by unfit and greedy rulers, classes that weight on social well being with extravagant luxuries of the few. 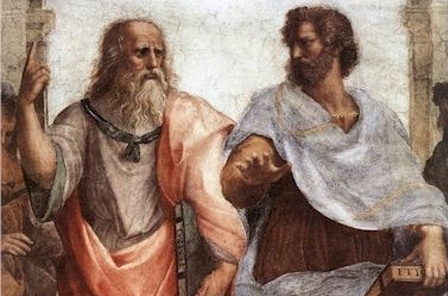 Mo-Tzu strongly believed that helpless believe in faith undermines the will of all, and only by becoming aware and self-conscious with knowledge human will overcome those maladies of natural beings. Who hides behind the mask? 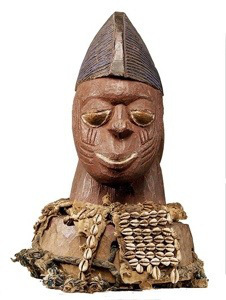 Last week, Professor John Picton, Emeritus Professor of African Art at the University of London’s School of African Studies, spoke about West African masks. 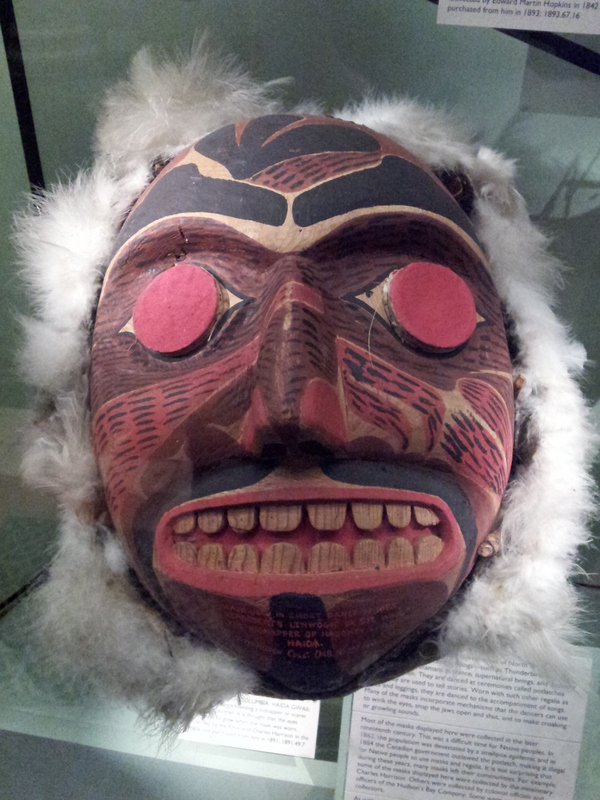 The talk held place in the recently renovated and renewed Pitt Rivers Museum in Oxford. Professor Picton says that it is important to understand that the relationship between a mask, the person wearing it and the mask-in-performance, is neither simple, nor straight-forward. This asseveration is very interesting in relation to Trispectivism, recognizing the three perspectives interacting in one performance. 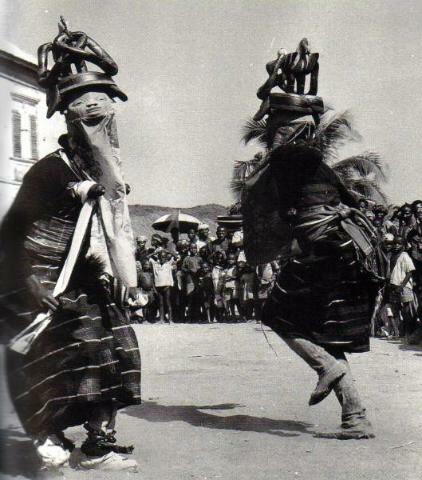 Picton also elaborated on aspects of power, performance, disguise, secrecy, colour and imagery in specific masks from Nigeria. The renowned expert explained about the mysterious subject of masking and masquerade in Nigeria. 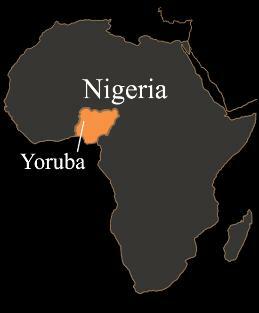 One of the main mask destinations he discussed was in Nigeria. 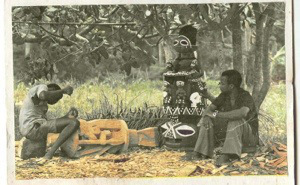 In the Yoruba tribe there are three types of masks for different ceremonies. The most impressive one is called Epa, which is an incredibly decorated masks with variety of symbols. As you can see in the photos, there is a large variety of colours and shapes (i.e. the color of white means hard work in the fields but for a Muslim it is purity and closeness to God). Not every detail has a meaning but certainly some forms, shapes and symbols have meanings. This is where the knowledgeable will be able to distinguish between the important and the not important aspects of the mask (i.e. 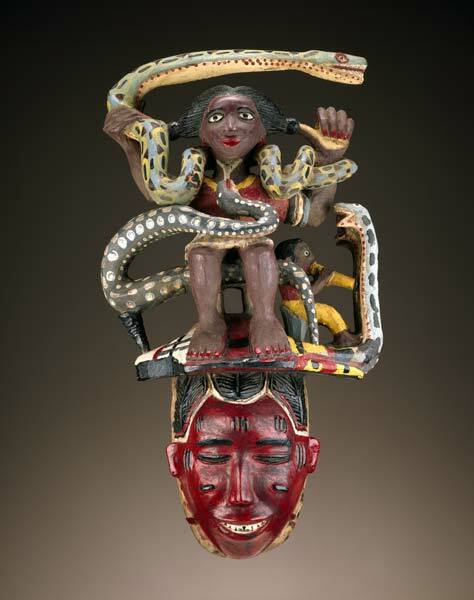 a wheel have no important message but two red colors on the forehead mean a certain deity). So does the chant and the music. A good wearer has to know to distinguish music, words, and steps and of course the symbols of the deity he represents. 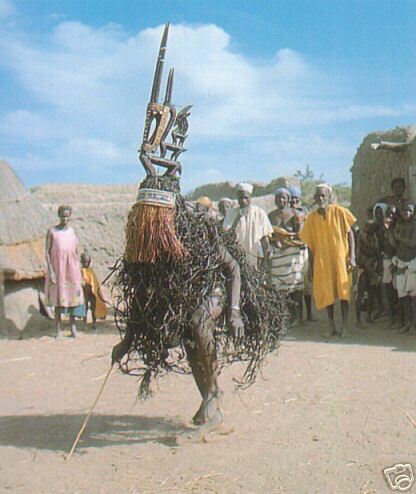 The ceremonies which the tribe uses the masks for are known to be a form of a test, where the most famous one is the representation of death (of a person). The spirit is entered into the mask before the ceremony and the wearer of the mask is supposed to embody the spirit or re-embody the dead person. 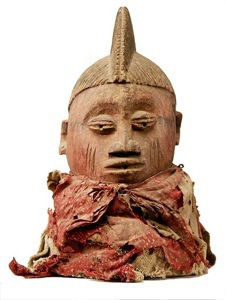 Actually, in some cases, as with the masks of the Ebira, the mask maker incorporates body relics of the death person (possessions and even skin tissue, hair, bones etc). The secrecy of the wearer is important. The mask wearer cannot appear to your eyes as the neighbor’s son or a relative that you grew up with. In order to keep the mysterious aspect and the holiness belief, it has to be the transcendental divine. The human body (again) becomes a mere vessel. That is the reason why both the spectators and the performer have a belief that a person cannot see the wearer of the mask naked in any other occasions; otherwise, they will fall ill. One cannot see the inside of the mask. 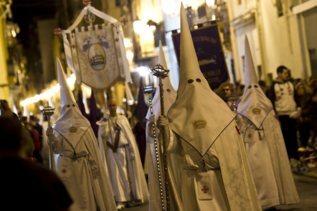 The masks are created with images about the authority, army, spirits, kings and other power position essence (in some case even an American or other foreign symbolism). It is believed that the masks dance, sing and tell stories, they make you laugh and sometimes think, they initiate children into adulthood, lead armies to war and celebrate their achievements. Masks create distance, with no exception, which, in a small community, brings to life some dramatic distance between performer and audience. It is a wonderful interaction in a trispectivist manner where the human agency dissipates into the cause of the ceremony, meaning the metaphysical one. The fact that the wearer actually has the physical strength to dance and jump with those heavy masks in midsummer is also believed to be thanks to magical intervention and medicine with special powers. The notion of the mask blurs the individual All into an ambivalent, sometimes ambiguous identity, one that is depicted by the universal All yet still represented by an individual. This anthropomorphic deification of a symbol repeats in different cultures and in this one, probably the most intriguing issue is the use of masks. This creates an acute interaction between the spectator in the physical world and the mask as a door for the spirit world to intervene.